One thing we do know, if a man had actually been charged then his identity would have been plastered across the media, even before any guilt had been established. I wonder if we will get the full story of what happened here? Just what has changed at the Warren that enables the South East Devon Habitat Regulations Executive Committee to issue this instruction? Perhaps this body consists of tree huggers who hate people and cars. Is it any wonder people are disillusioned with our corrupt system. The voter turnout figures speak for themselves. Local elections barely scrape above 30%, and general elections are now less than 70%. Coincidentally, the biggest drops in turnout have occurred since Blair won his first term in office; he fuelled this disillusionment. @"Diana Mond" I rather believe the senior political correspondent of the Telegraph over you. If the article is a lie, then why didn't your beloved JC sue the paper for defamation? The fact he did not speaks volumes. I suggest you read the whole article. Feeling touchy about your many, many incarnations on this forum? How many times have you been banned? I've lost count. 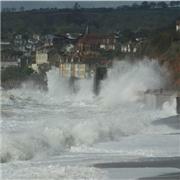 Says Diana Mond/Mrs C/Judith Chalmers/Our Soul/Our Soul of Dawlish and all your other aliases too numerous to mention. Is the Lawn the right place in Dawlish for a new play park? And the very important fourth question was not asked at all.